Do you ever wanted to have a SharePoint Online cmdlet to get all webs in a site collection? Something like this can be useful if you want to see all webs and if there is something that you do not want or need. Or if you want to get all webs as original type and do further operations with them. 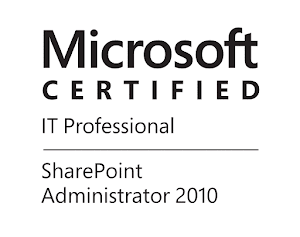 Well as you know there is no such out of the box cmdlet in SharePoint Online Management Shell. We however can use the dlls from SharePoint Server 2013 Client Components SDK and write our own powershell script to do that. There however are many scripts from the community that are described as "get all webs in site collection". One of the most popular scripts that is popping out if you do some googling, is the script of Corey Roth (MVP). The script is nice but actually getting all webs in a SharePoint site collection with CSOM is a bit tricky, since we do not have (at least I do not know) a shortcut for getting really all webs, something like SPSite.AllWebs when you run powershell in on-premises. What Cory's script is doing is to get the top level web from the client context, then get its sub webs and then it is returning the Title and the Url of the subwebs like I have shown in the screenshot below. As you can see we are not getting much. The site I am doing this demo on is a site with two subwebs, below them we have some more subwebs, below them more and we cannot see them. So I create a script that can output all webs in SharePoint Online site collection very similar to what SPSite.AllWebs is doing in on-premises and the output is Microsoft.SharePoint.Client.Web. See how it looks like. As you can see the output is different. I have quite a lot of webs in my site, there is even an AppWeb. See part of my code. All I have done is to get the root web, return it as result, get the subwebs, then get the subwebs of each subweb that is found (and so on) and then return each web as result. The key job is done by a function defined in BEGIN blok (not very pretty, but works) Get-SPOSubWebs . The function is running itself for each web found, I think that this can be defined as recursion. At the end we have all webs in the site collection. In order to run the script you will need SharePoint Server 2013 Client Components SDK (x64) installed and optionally if you want to see the data in powershell console loaded type display template(included with the script). For more information see my article Display CSOM objects in PowerShell.